Astronomy and astrology share common roots which is why it’s quite common for people to get mixed up with the meanings of these two terms. This article aims to establish the important differences between the two. Astronomy is the scientific study of everything that lies beyond the earth’s atmosphere. 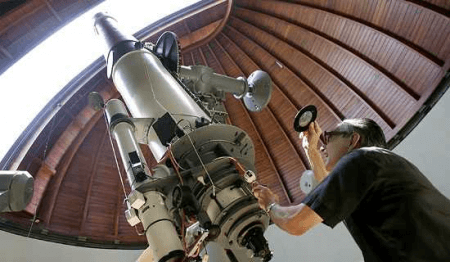 Astronomers look to the skies to study celestial objects such as planets, moons, galaxies, and comets. They also look at the processes involved in celestial events such as gamma ray bursts, solar storms, and black holes. Astronomers search the vastness of space for exoplanets and solar systems many light-years away. The term astronomy is derived from the Greek terms astron (star) and nomos (law). Ancient astronomers recorded the positions of the stars for navigation purposes and to predict the best time to plant their crops. The early Mayans and Egyptians built temples as observatories for mapping constellations, to mark religious practices, and to determine the time of the year. The ancient Greeks formed theories about the movements of the sun. The majority of stars and constellations that we now know were named by the early Greeks. Eratosthenes, a Greek mathematician, was the first to offer proof of the spherical shape of the Earth. Astronomy was revolutionized during World War II as more observatories equipped with more powerful and accurate telescopes were built. The invention of rockets provided astronomy with another breakthrough. Astronomers were able to mount telescopes on satellites that were launched into space with the help of rockets. This technological feat opened up a whole new frontier in the field of astronomy as mankind pushed further into understanding the universe. Astrology focuses on the study of the positions and the motions of the stars and planets as a means to predict future events and interpret human behavior, including people’s destiny. It is a traditional science, not regarded by scientists as an exact science because astrology does not offer any proof to its claims. Experts reveal that astrology dates back to the 2nd millennium BCE. Its practice started in the use of calendar systems to foretell changes in the seasons and interpret celestial cycles as messages from the gods. Ancient cultures placed great importance in astronomical events. The Mayans, the Chinese, and the Native American Indians developed elaborate methods for studying the heavens to predict future events. In the West, old astrological systems still in use can be traced back to 17th-19th century BCE Mesopotamia. Today, astrology is typically associated with horoscopes that are used to interpret human personality and predict important personal events based on the placement of the planets, moons, stars, and other celestial objects. 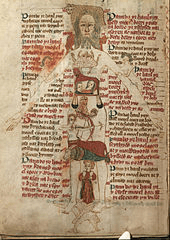 Astrology once enjoyed a place in scientific circles and was actually considered to be connected to astronomy, meteorology, alchemy, and medicine. However, the start of the scientific revolution caused many scholars to question astronomy’s lack of scientific validity. Astrology lost its academic standing and is now regarded as a pseudoscience. So, what’s the difference between astronomy and astrology? Astronomy is the scientific study of everything that lies beyond the earth’s stratosphere. This includes studying the planets, stars, galaxies, meteors, and other celestial objects in outer space. It also involves the study of celestial events such as gamma ray bursts, solar storms, and black holes. Astrology, on the other hand, is the study of the positions and movements of the planets, stars and moons as a means of foretelling future events and interpreting human behavior. Astronomy is an exact science, which means it makes use of scientific methods and empirical data in its field of study. Astrology, however, has been considered a pseudoscience because of its inability to scientifically validate its findings.